In the market for a new ride? Here’s everything you need to know about the Jaguar I-Pace. On a drive around New York’s Hudson Valley, our lead foot quickly brought lithium-ion’s benefits into focus: Drop the pedal and the I-Pace’s two magnet-electric motors provide a bash of torque (512 lb-ft) befitting a sports car. On sweeping roads, the low center of gravity and the vehicle’s stiffness (thanks to those battery packs lining the floor and a bonded aluminum body) practically beg you to push it. Fun as it was, driving with spirit saps your max range—we finished with 30 miles left in its 240-mile “tank” after a roughly 140-mile jaunt. Sane daily commuting should help with that. The Jag’s all-around luxury polish may best the more expensive Tesla Model X, but Elon still has a leg up on fast-charging infrastructure. While the I-Pace is compatible with more than 50,000 public charge points, 100 kW versions that would juice up the EV to 80 percent charge in 40 minutes are in the works. The slower home charger ($585, sold separately) delivers the same amount in 10 hours. 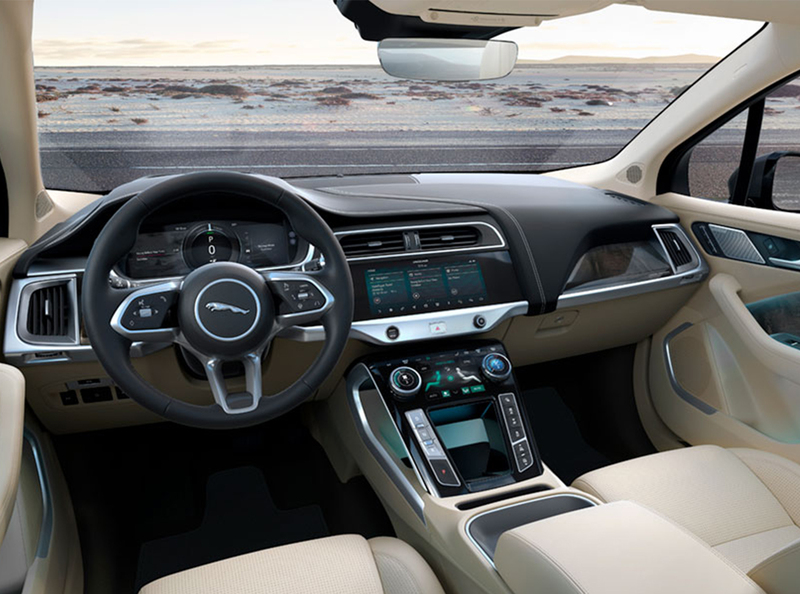 On a positive note, Jaguar is embracing wireless software updates, meaning you’ll have the latest upgrades without having to suffer through the dealership’s stale coffee.